Important — please note: We accept care package requests from and work directly with Honor Flight Hubs, and certified VA and Veteran Care facilities around the country. We are unable to fulfill individual requests. 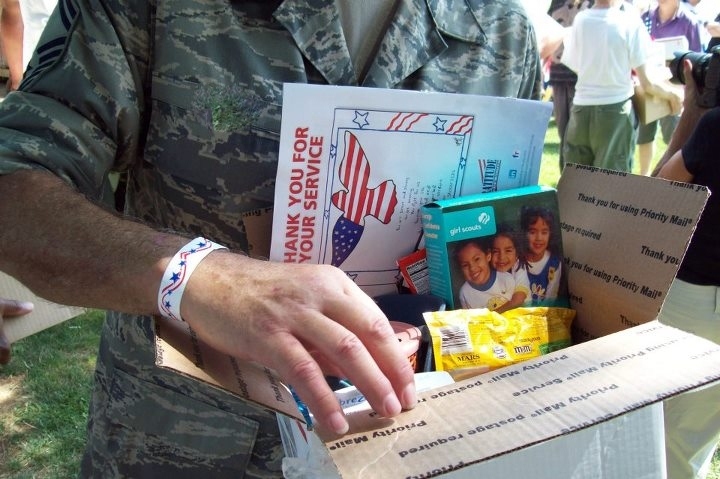 To request Veterans Care Packages, the Program/Activity Director from the certified VA facility or the appropriate representative from a local Honor Flight should contact Operation Gratitude at info@operationgratitude.com. 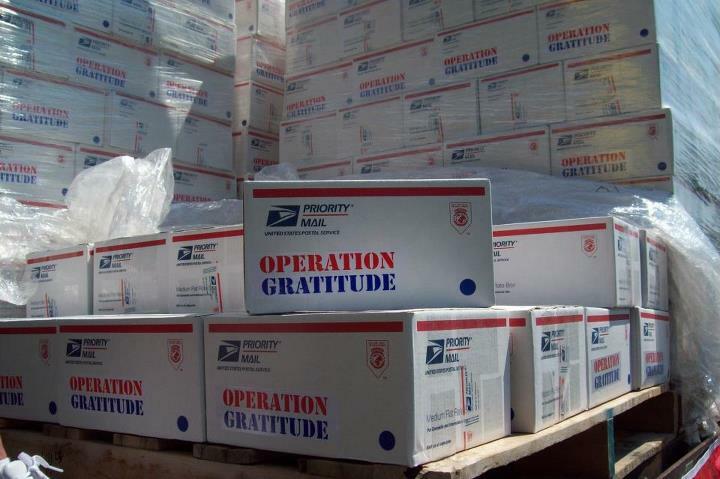 In our on-going misson to express the appreciation of the American peop le for the sacrifices of our Military, Operation Gratitude has launched a new program to deliver thousands of care packages to Military Veterans all across the country. At the gathering of World War II veterans, package recipients nostalgically looked through the items in their care packages and commented how nice or useful it would have been to receive the enclosed snacks and hygiene products when they were at war. The veteran warriors were especially moved by the personal letters of thanks written by children. Operation Gratitude’s founder Carolyn Blashek wants Veterans from all eras to know their service is not forgotten. “It’s never too late to say, ‘Thank You‘ to these heroic men and women,” she says. Many more care package distribution events are planned in the coming months. Operation Gratitude volunteers assemble these special gifts, which contain many of the same items sent to th ose currently serving in harm’s way. Every donation of $15 covers the assembly and shipping costs to send another Veterans Care Package. 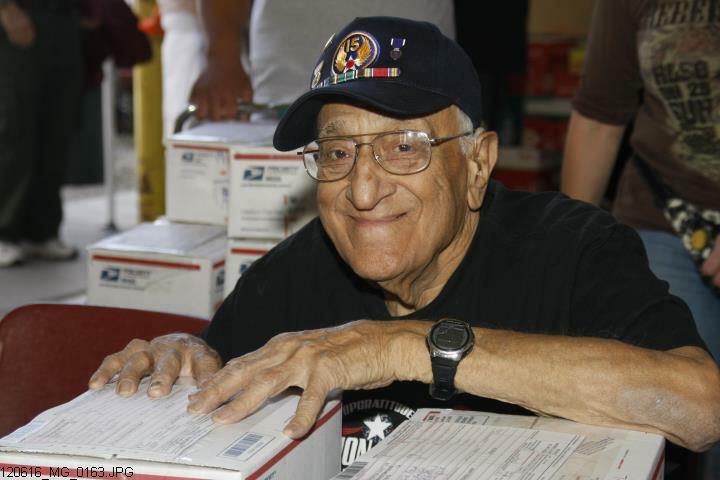 You can ensure that a care package like the one we gave to Steve Politis reaches a Vietnam War, Korean War or World War II Veteran every month! A recurring monthly donation of $15 works out to just 50-cents per day. Businesses wishing to donate should contact us at Info@OperationGratitude.com for more information about corporate sponsorships. This entry was posted in Uncategorized and tagged care packages, charity, donations, Korean War veterans, OEF/OIF veterans, Operation GRatitude, U.S. service members, veterans, Veterans Day, Vietnam veterans, Vietnam War, Wings Over Wendy's, World War II. Bookmark the permalink. Dad is an 87 year old WWII Vet who has never been part of any program like this. He is in a Memory Care Home close to mine, not a VA home. How can he take part and be honored like these other Vets? Please send an email to opgratvet@aol.com for more information. Thank you! Pingback: Veterans Day – Thank a Veteran | Greetings from Room 12! Thank you so much from my 89 yr old father who recently returned from the Veteran’s Memorial in Wash DC with the Honor Flight! 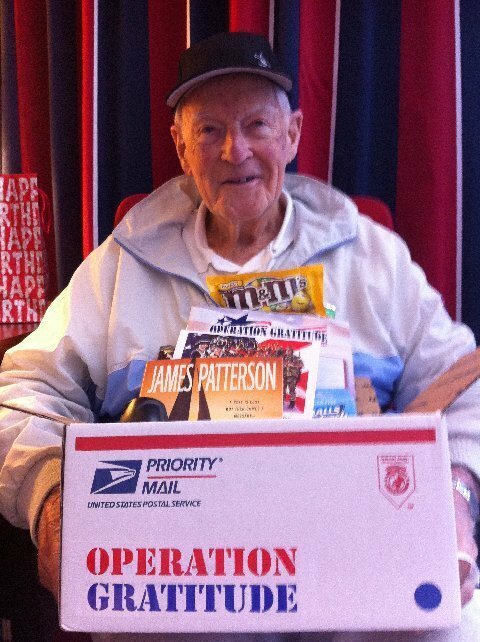 He received a wonderful care package from you and was thrilled! I have a pic of him but do not know how to submit! Keep up the good work, this was a trip of a lifetime for him and he was “treated like a king” in his words! Thanks so much! Thank you for taking the time to leave a message here, Carol! We count it a privilege to play a small part in many Honor Flight adventures — we’re very glad to know your father enjoyed his trip! We would love to see the photo — please email it to opgrat@gmail.com Thank you again! someone who has laid down their life for another! I love this, the smiles are worth every last penny! Personally, I never felt that way toward our military. You did what our government ordered you to do and it should have not fallen on your shoulders. I thank you for serving our country. I love the military and have the utmost respect for you all. God Bless you for what you had to go through. Please help out if you can! Thanks!